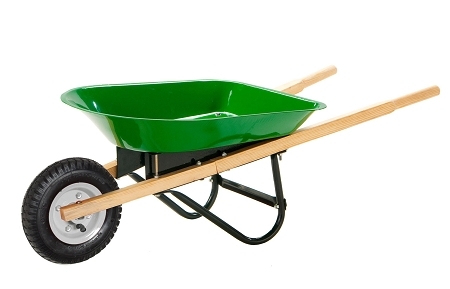 This is not a toy, it is a fully functional steel wheelbarrow! 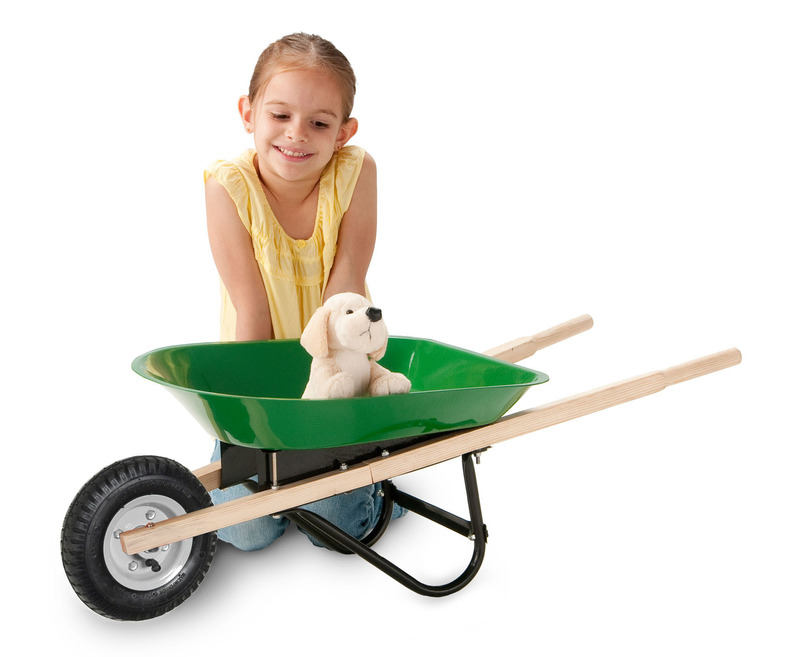 Haul in the fun with our scaled-down replica of working wheelbarrow. Toddlers can haul flowers, grass clippings, sand, toys, and other treasures. Sturdy steel body with smooth-finished natural wood handles. Features seamless steel tray with no-scratch edges and steel undercarriage, durable air tire wheel and real wood wheelbarrow handles. Don't forget our Personalized Wheelbarrow is the perfect gift!